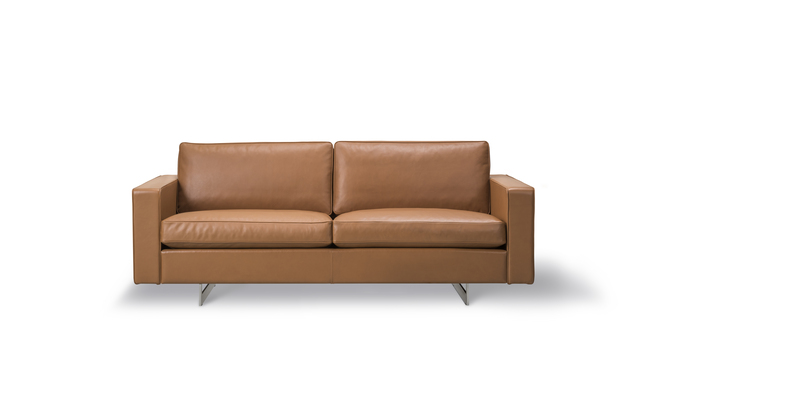 The Risom 65 sofas are customizable through a large collection of upholstery. See below the different fabrics and leathers available as well as the two frame options. Production time is around 6 weeks. Risom interpreted Scandinavian design in an American context, seen in his A-Chair infused with a New York sense of style and confidence. 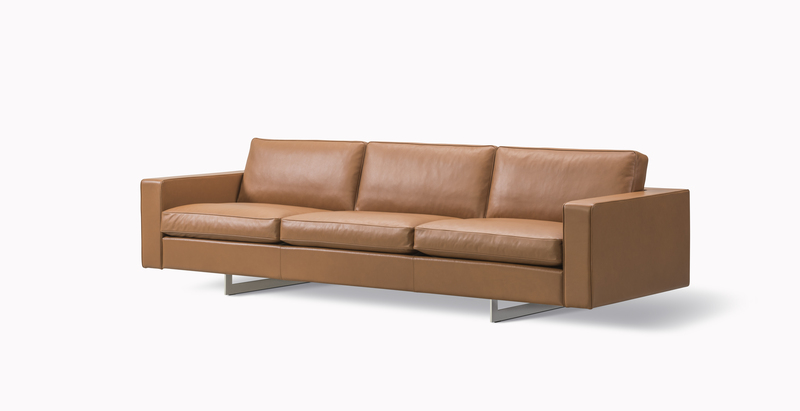 The Risom 65 Sofa exemplifies his practical approach in a design that exudes exclusivity, with its bold architectural lines and recessed base that give the sofa a floating appearance. 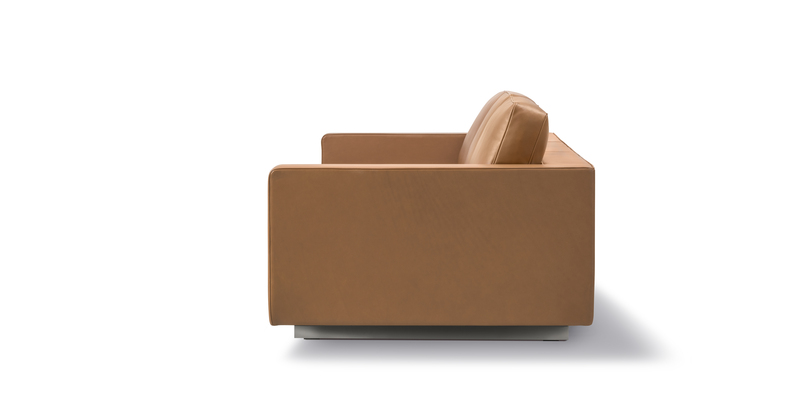 Adding comfort are the loose seat and back cushions, which fit neatly and discretely to create a singular entity that’s simple yet striking. Fabric covered cushions are reversible, whereas leather covers have a fabric panel partially covering the bottom surface for proper ventilation.